River means everything to Sky. They have lived alone together on Island for as long as they can remember. The two of them hunt for food, wash in Falls and curl up together in Shelter. Their life is simple and safe. Until River sees a boat . . .
Across Ocean is California, a place where nothing makes sense to Sky. She is separated from River and taken to live with a grandmother she doesn't know. 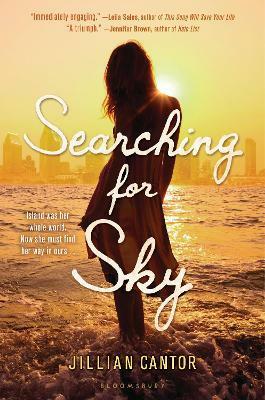 Lost and heartbroken, Sky searches for him so they can return to Island, only to find out that their paradise wasn't as perfect as she thought, and everything she's ever known and loved may have been a lie. A gripping and beautifully told story of love and survival in a hostile world - ours. Jillian Cantor has a BA in English from Penn State University and an MFA from the University of Arizona, where she was the recipient of the national Jacob K. Javits Fellowship. She lives in Arizona with her husband and two sons.